One of the most important pieces of the Identity-as-a-Service market that is often forgotten is how to manage devices. In fact, it’s the reason that most competitors to Microsoft Active Directory® have failed. AD did an excellent job of including the management of Windows systems into their platform. As solutions look to upend Active Directory in the future, this capability will be a necessity. With Google gunning hard against Microsoft, does Google IDaaS device management cut it? Google’s approach to identity management doesn’t really include anything like AD’s Group Policy Objects. It does have some limited mobile device management capabilities, but as for Windows, Mac, and Linux machines, there are no capabilities. Google’s focus is on cloud infrastructure and resources. As with their approach to just about everything else, Google does not focus on the on-prem systems. That’s really sort of out of purview for their platform. As such, it is very difficult for Google IDaaS to be a true competitor of Active Directory. In fact, it is hard for Google IDaaS to be a true identity provider across both on-prem and cloud platforms. Google’s approach for Identity-as-a-Service is really more about being a user management platform for Google Apps and a web SSO solution for a select few web applications. As a result, it is difficult for IT admins to embrace the concept of Google IDaaS as their central identity provider. 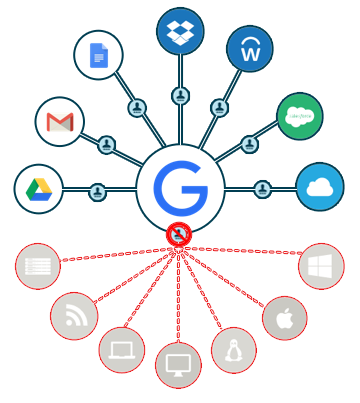 For many IT organizations, Google IDaaS is just a user management control system for Google Apps. However, it is often integrated with other solutions for device management. IT admins are sometimes forced to leverage the on-prem, legacy Active Directory service. Other times, they will have to purchase dedicated device management capabilities. The good news is that there is a different approach that seamlessly integrates with G Suite to create a central identity provider that also does device management. Called Directory-as-a-Service®, this approach integrates both G Suite and Directory-as-a-Service into a complete cloud identity management platform and productivity suite. IT organizations can skip purchasing two directory services – and they can forgo the search for an additional device management solution. With Directory-as-a-Service, you get cross-platform GPO-like capabilities that work across Windows, Mac, and Linux machines. You can execute virtually any task or command and leverage whatever language that your systems support. You will get full auditing of how the task executed and whether there were any issues. Device management is a core part of how IT admins think about their directory services platform. And it is something that you can’t get with Google Identity Management Services alone. 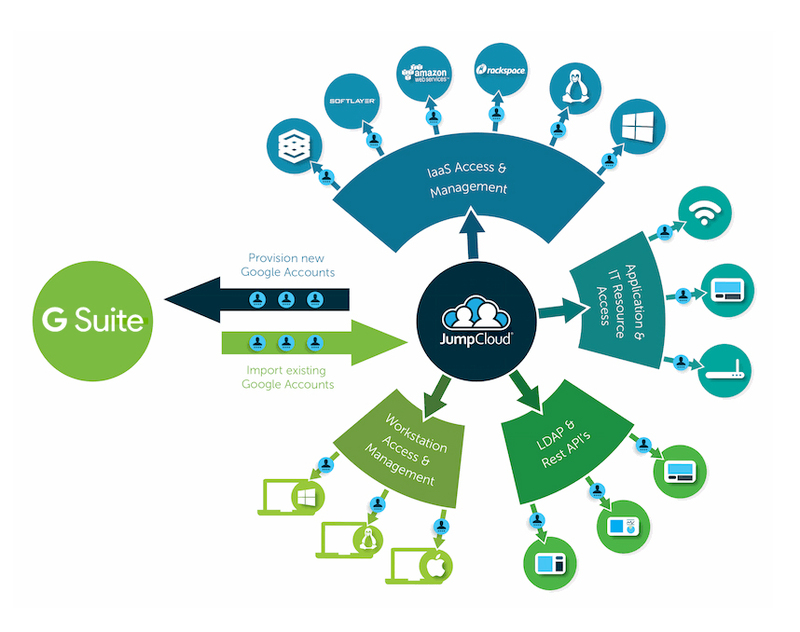 However, through a complementary solution – Directory-as-a-Service – you can have a centralized, cloud identity provider with device management. 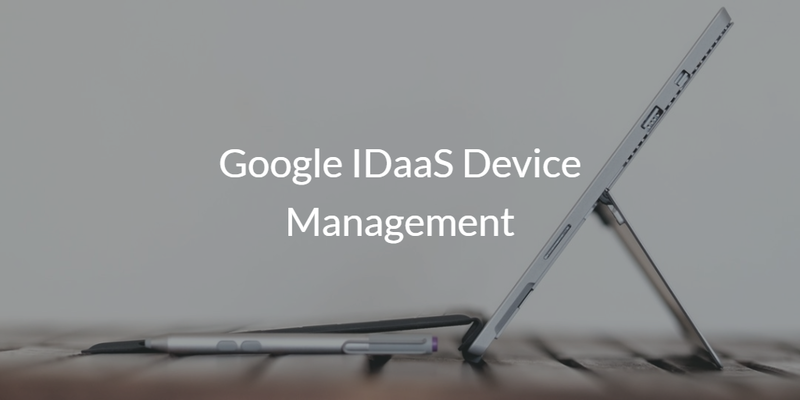 If you would like to learn more about Google IDaaS device management, drop us a note. We’d be happy to walk you through what you can and can’t do with Google’s approach to Identity-as-a-Service. We can also have an in-depth conversation about how our command execution and policies framework inside our IDaaS platform can support your needs. Your first 10 users are free forever, so give it a try today.